Travis Hackett is enduring a journey that takes strength beyond what many have dealt with in their lifetime. Hackett was diagnosed with leukemia two years ago and returned to the pitch in 2015 after spending months receiving chemo therapy. 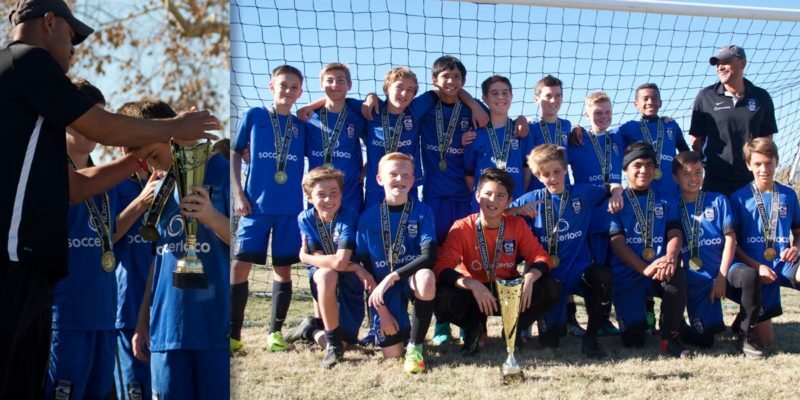 In recent weeks, he provided a moment of magic for his club when he scored the game-winning goal in the championship of Southern California Developmental Soccer League playoffs. YOUTH SOCCER NEWS: On December 4th, San Diego Surf Academy Boys Select 2003 coached by Beto Villela won their division in Southern California Developmental Soccer League postseason playoffs. The team was led by Travis Hackett in the championship match. Hackett scored the lone goal to hoist the title. The goal marked his first tally since being diagnosed with leukemia in October 2014 and provided a moment of inspiration for everyone, including his teammates. 2019 Surf College ID Camps – Register Today! Register today for Surf Spring Camp! Check out articles featuring Surf Soccer Club on Soccertoday.com!